For a loop that is entirely Great Eastern Trail, hikers can explore the GET Bifurcation Loop (someone will come up with a much more alluring name for this). 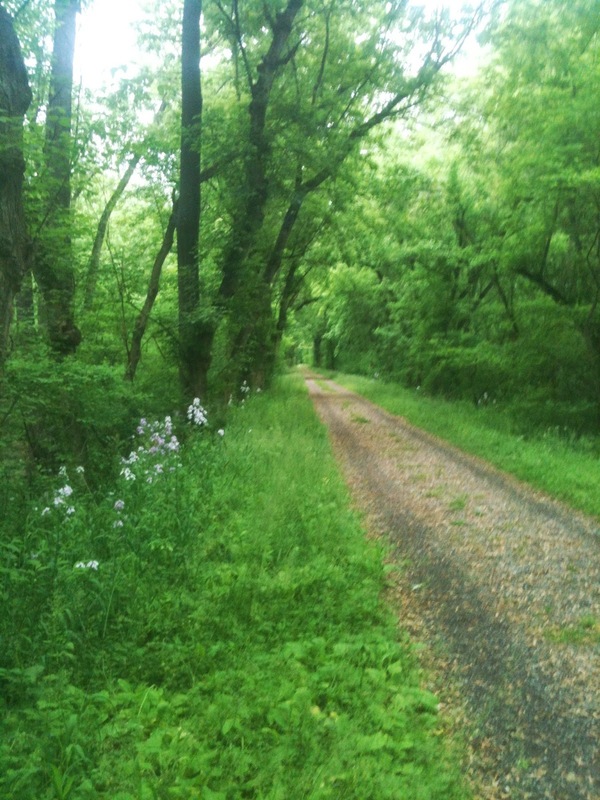 53 miles of Green Ridge State Forest and the C&O Canal to return to Hancock. Why begin and end in Hancock? 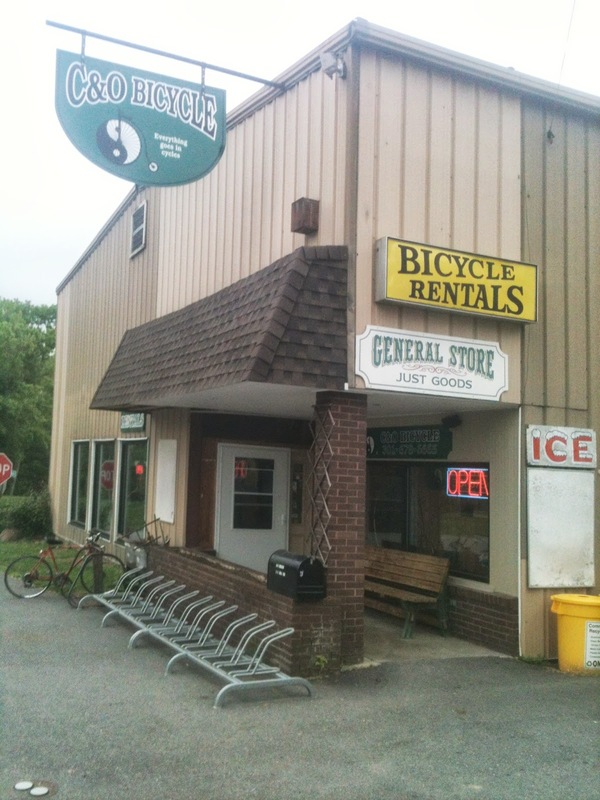 : C&O Bicycle Hostel: showers, bunks, a super-friendly owner, shuttles, mail drops accepted. Hancock is accessible by bus and there is pizza in town. I rest my case. 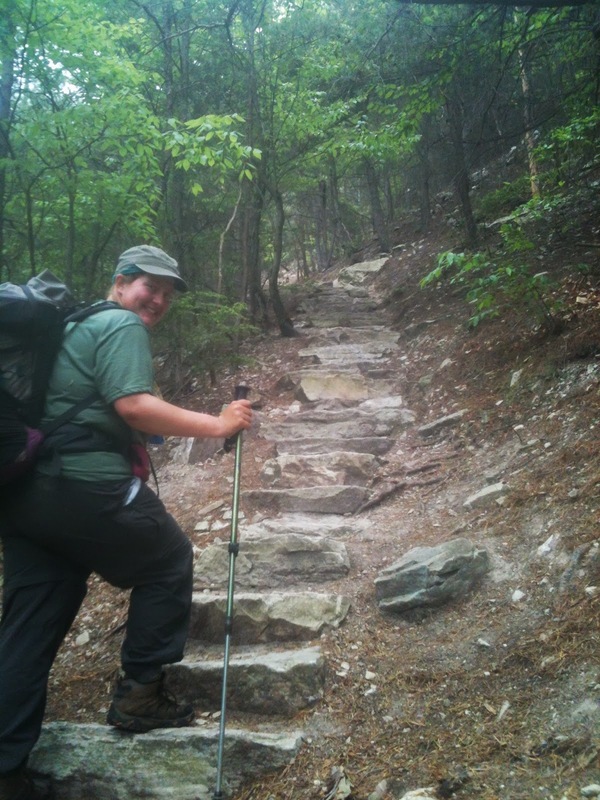 Why hike counter-clockwise? : The southern Mid State Trail was the most challenging section of this loop for me and might be better saved for almost-last. What guides are needed? 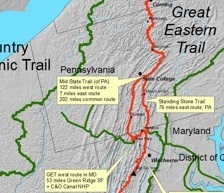 : The Tuscarora Trail guide/maps, Standing Stone Trail maps/guide, Mid State Trail maps/guide and resupply PDF, and Green Ridge State Forest Map. See the Guides and Maps Page for links. How bad are the rocks? 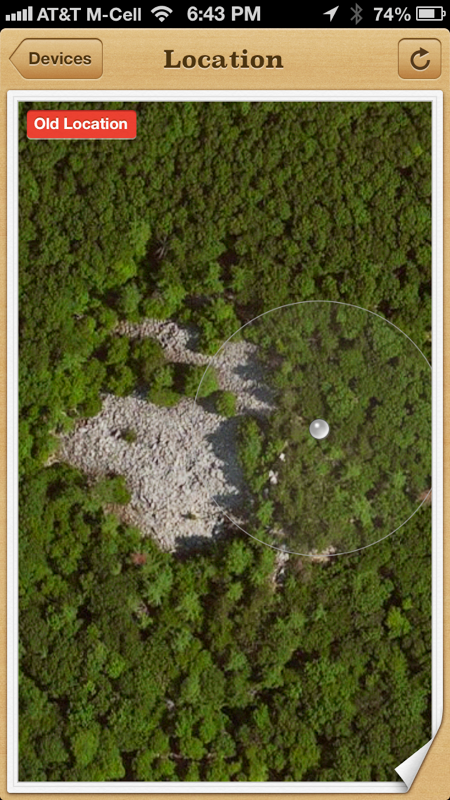 : Well, the rocks felt different than the AT’s rocks - easier to navigate. (Or maybe I just got used to pain as I've hiked...) There are a few sections of the Mid State Trail that were very rocky (and some that aren't at all! ), but they provided overall better views than the AT did and so the rocks felt much more worth it. 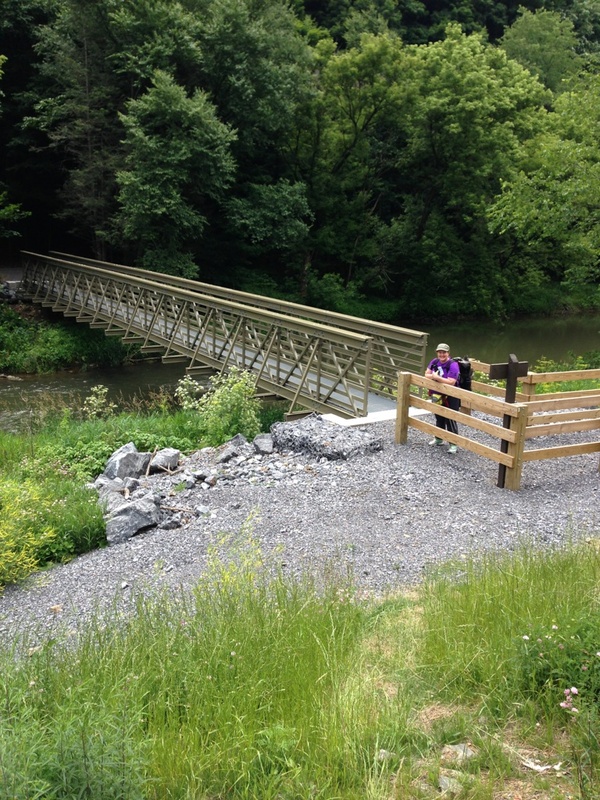 There is also a sense of wildness on the Mid State Trail that I didn't feel on the Pennsylvania AT, which made mentally dealing with rocky segments much easier for some reason. Your mileage may vary. Why should I hike this? 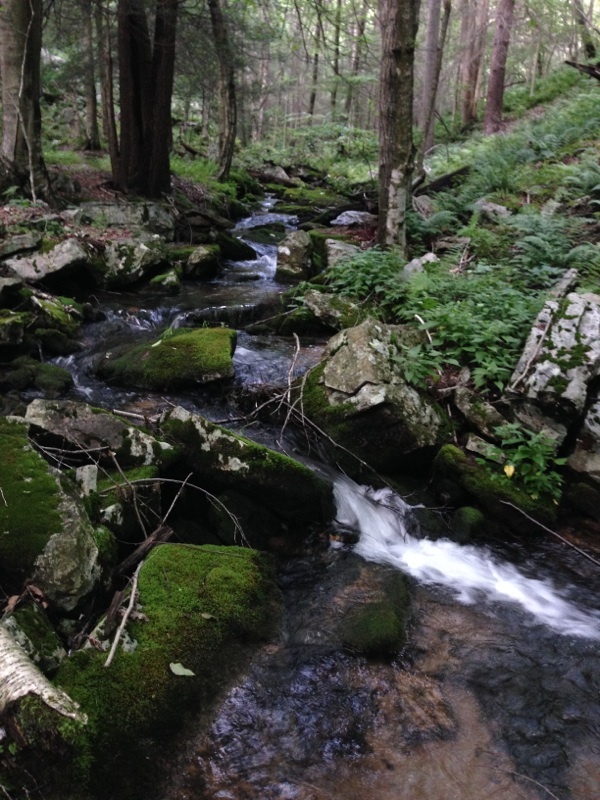 : Green Ridge State Forest is gorgeous and has a rich history. And who doesn't love the C&O? 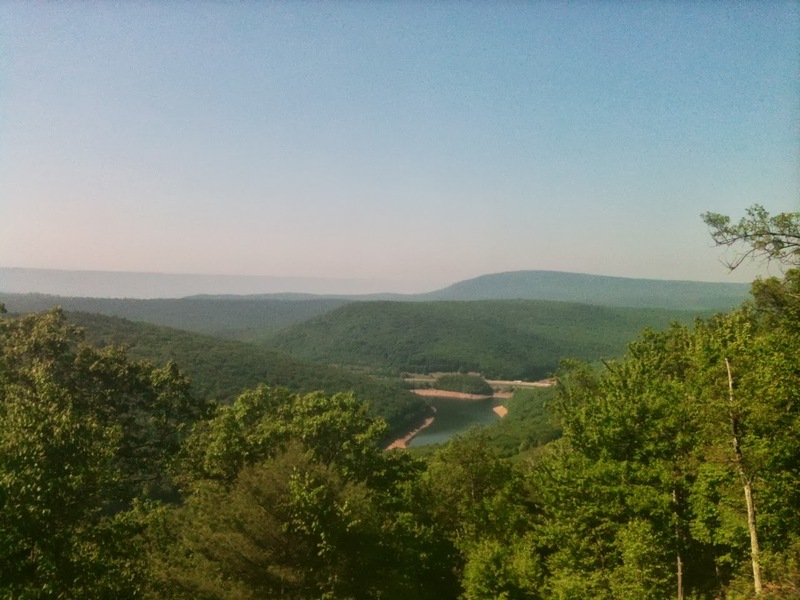 But the most important reason is this: the Mid State and Standing Stone Trails showcase the beauty and wilderness in Pennsylvania.